Pleasant, powerful blend from Highlands. Honey, caramel, fruits, marzipan, orange peel. In addition to sweet fruits, the spicy oak comes in nicely. Vanilla, honey, candied orange peel, milk chocolate. Touch of smoke. 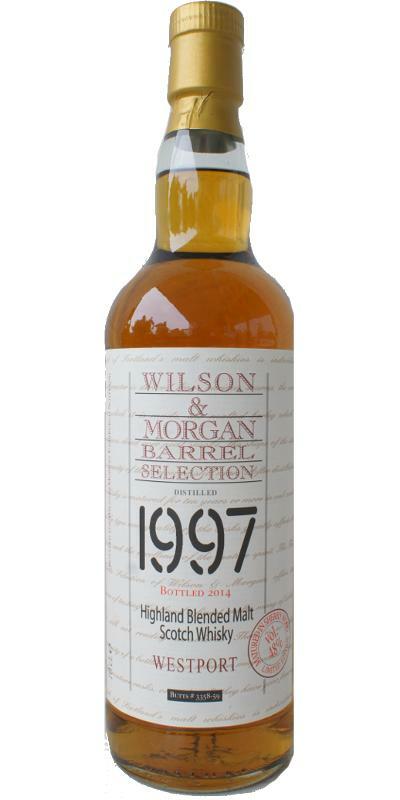 *Bronze Medal at Malt Maniacs Awards 2014An exciting new entry in our catalogue! When we sampled these casks we had no expectations, but their quality surprised us so we decided to buy some stocks. Soft, chewy, luscious, with a rich background of candied oranges, apricots, beeswax, and just the right amount of nuttiness, it could easily be mistaken for a classic Speysider… which is far from the truth. The sherry influence is obvious but not explicitly winey or on the tannic side. Rather, it has that wonderfully autumnal potpourri of chestnuts, slightly peppery character, cinnamon biscuits and buttery cake that is typical of the good balance between first and second fill casks. Medium bodied, fragrant, perfectly suited as an after dinner malt but easy and soft enough for any occasion. , Schwupp weg iser. A little short. Many fruits (banana, papaya, grapes), butter, honey, arugula, a little alcohol. With water: a little marzipan. Sweet on fruits, vanilla, honey, milk chocolate, some spices.